Thu., 22 Aug. - Sun., 8 Sep.
Wed., 5 Jun. - Fri., 28 Jun. Thu., 22 Aug. - Mon., 9 Sep. Sun., 11 Aug. - Fri., 13 Sep. Situated in the business district, this hotel is within 3 mi (5 km) of Sofia Airport Centre, European Trade Centre, and Arena Armeec. Megapark and Inter Expo and Congress Center are also within 3 mi (5 km). Sofia Airport Terminal 2 Station is 24 minutes by foot. 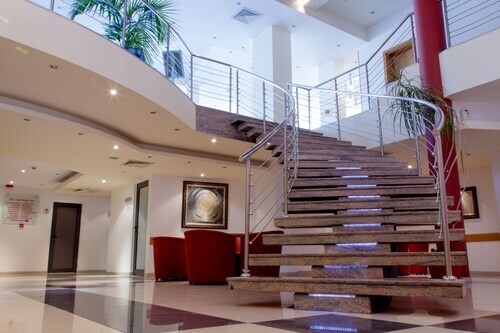 Situated near the airport, this hotel is within 3 mi (5 km) of Sofia Airport Centre, European Trade Centre, and Arena Armeec. Megapark and Borisova Gradina Park are also within 3 mi (5 km). Sofia Airport Terminal 2 Station is 21 minutes by foot. 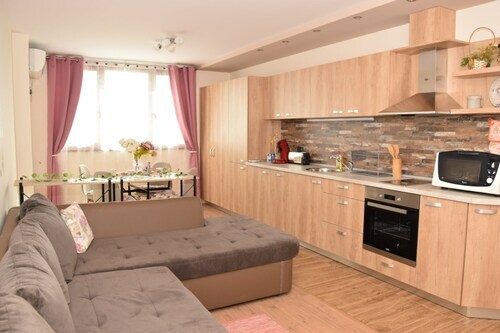 Located in Slatina, this romantic property is 1.1 mi (1.7 km) from Arena Armeec and within 3 mi (5 km) of Sofia Airport Centre and Bulgarian Parliament. Borisova Gradina Park and Iterpred World Trade Center are also within 3 mi (5 km). 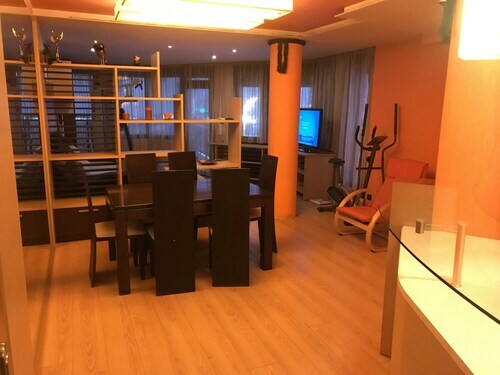 Situated in Sofia, this apartment building is 1.2 mi (1.9 km) from Sofia Airport Centre and within 6 mi (10 km) of National Gallery for Foreign Art and Russian Church. Vasil Levski Stadium and National Palace of Culture are also within 6 mi (10 km). 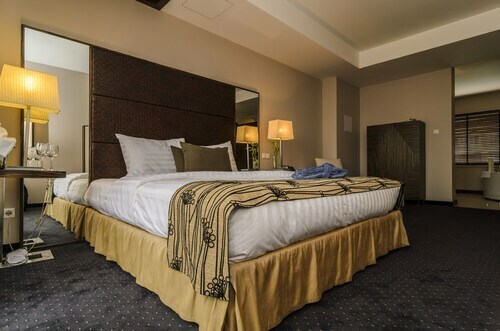 Located in the heart of Sofia, this hotel is 0.8 mi (1.3 km) from Borisova Gradina Park and within 3 mi (5 km) of Bulgarian Parliament and National Palace of Culture. Sofia Airport Centre is 2.7 mi (4.4 km) away. Situated near the airport, this guesthouse is within 3 mi (5 km) of Vasil Levski Monument, Sofia Airport Centre, and Bulgarian Parliament. National Gallery for Foreign Art and Cyril and Methodius National Library of Bulgaria are also within 3 mi (5 km). 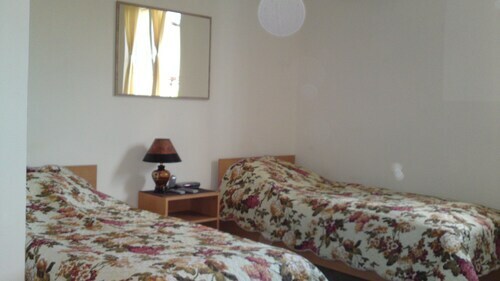 Located in Mladost, this hotel is 0.8 mi (1.2 km) from Megapark and 2.4 mi (3.8 km) from Sofia Airport Centre. European Trade Centre and Arena Armeec are also within 2 mi (3 km). Mladost 1 is 15 minutes by foot. 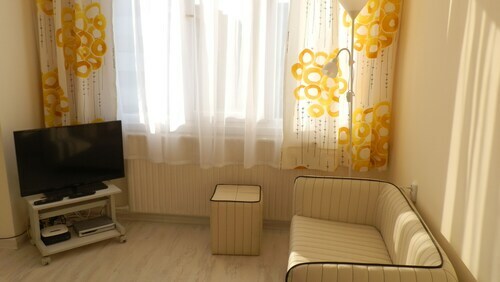 Situated in Sofia, this property is 1.1 mi (1.7 km) from European Trade Centre and 1.7 mi (2.7 km) from Sofia Airport Centre. Inter Expo and Congress Center and Megapark are also within 1 mi (2 km). Flights from Charlotte Douglas Intl. to Buffalo Niagara Intl. Flights from Charlotte Douglas Intl. to Calgary Intl. Flights from Hopkins Intl. to Pierre Elliott Trudeau Intl. Flights from Charlotte Douglas Intl. to Macdonald Cartier Intl. Flights from Christchurch Intl. to Kingsford Smith Intl. Flights from Chattanooga Metropolitan to Pearson Intl. Flights from Lumbia to Ninoy Aquino Intl. Flights from Port Columbus Intl. to Pittsburgh Intl. Flights from Simon Bolivar Intl. of Maiquetia to Pierre Elliott Trudeau Intl. Flights from Mactan Cebu Intl. to Edmonton Intl. Flights from Mactan Cebu Intl. to Pierre Elliott Trudeau Intl. Flights from Mactan Cebu Intl. to Regina Intl.